Hello and welcome to our website. The Tractor Company of North America INC. is family owned and operated by Ron and Rick Heppner. We are located in Olser, just north of Saskatoon on hwy #11. In 2005 we started importing and selling the Jinma tractor, branded as Frontier, as a sideline to our auto dealership. It didn't take long for tractors and implements to take over and become our main line of business. In Feb. 2006 we became Frontier Tractor but have since changed our name to The Tractor Company of North America INC. Looking for a higher quality tractor line we became authorized dealers for Mahindra and LS tractors, as well as Land Pride implements. We are Saskatchewans longest serving Mahindra and LS dealer. 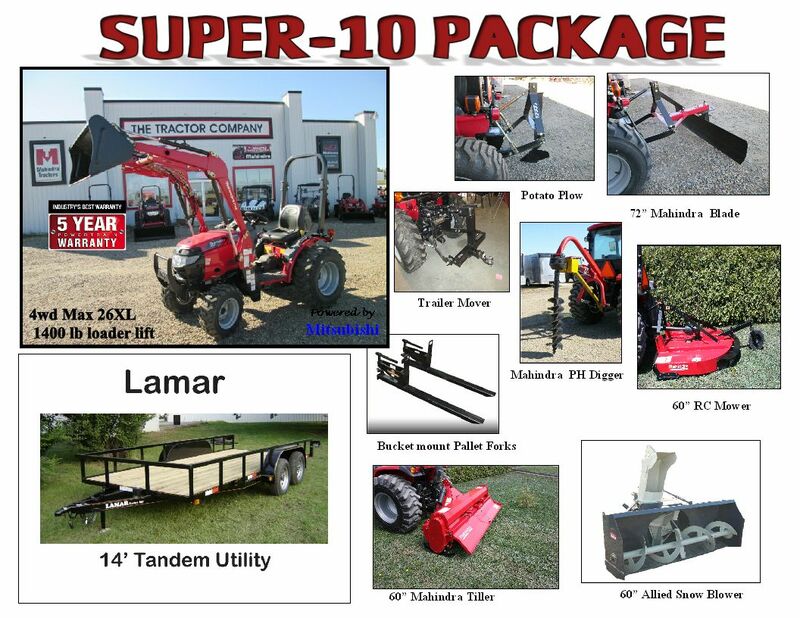 We are also an authorized dealer for Country Clipper zero turn mowers, Buhler Farm King, Wallenstein, Rainbow Trailers and Lamar trailers plus more. Vermeer is the newest addition to our product line up. In 2010 we moved into a larger building with heated show room. At The Tractor Company, we look forward to serving you, our valued customer, for years to come. Please stop by our dealership, located at 700 Service Road, OSLER, SK and speak with one of our representatives today!